IS YOUR EX NASTY ONE DAY AND NICE THE NEXT? Sara was hanging on by a thread. Coparenting with her Ex, Anthony, was incredibly draining, unpredictable and filled with drama. One day he would be rude and standoffish in front of the boys. Then the very next day, he’d act like nothing ever happened and invite Sara to go with him and the boys to the movies. While Sara had gotten used to his on again/off again behavior, she was always hopeful that maybe this time they had turned a corner and would accept the invitation. Things would be okay for a week or two and then out of the blue Anthony would become completely inflexible, not return her texts or email her a long rant about how she had ruined their family. Sara never knew what to expect and felt super conflicted. There was just no way to win. While she didn’t want to dismiss Anthony’s bad behavior, she also desperately wanted to get along for the boy’s sake. After all, wasn’t it better for them if she didn’t rock the boat and tried to get along when their father was being nice? Not really and here’s why. Hands down, parents having a good relationship with the each other is what’s best for kids. Keep in mind, this “one-day parents get along, and the next day they don’t” dynamic isn’t just confusing you, it’s also super confusing for your children. Just like you, they can’t understand why the status of your relationship is always changing. Not surprisingly, Dad’s on again, off again approach also significantly influenced how Sara interacted with him. On the days he was being nice, Sara would go out of her way to be accommodating. On days when Anthony was nasty, Sara would feel blindsided once again and either launch into trying to set better boundaries or defend herself against Anthony’s accusations. So what should Sara do? If the tide is always changing with your Ex, avoid following their lead and instead chart your own course. What that means is no matter how your Ex behaves, do your best to keep your communication and interactions with them consistent. Instead of riding the emotional roller-coaster with your Ex, it’s more helpful (and effective) for you to engage with your coparent in a calm and confident manner. Not sure where to start? Here are a few tips to help you out. When your Ex goes off the deep end, it may feel like it’s all about you, but it’s not. When a coparent has a pattern of flip-flopping between nasty and nice, it has more to do with how they’re dealing with their own emotions than what you are or aren’t doing. After a split, emotions (and stress levels) usually run pretty high for parents. It’s also normal for lots of feelings to get stirred up at once, and for them to be strong and unpredictable. For some parents that level of intensity has staying power. When your Ex is throwing some shade your way, don’t take it personally. They could just be having a hard day, feeling helpless, unable to face the hurt or dealing with the pain by lashing out. Instead of racking your brain to figure out where you went wrong or how you can change them, think of yourself as a target for their anger and unhappiness. Do your best to gain some emotional distance from the lashing out and not respond in kind. The next time you get an ALL CAPS text from you Ex venting about your most recent shortcomings, remember you don’t have to show up to every argument you’re invited to. If the issue isn’t time sensitive, give yourself some breathing room. Before rifling off a response, consider putting your phone down and waiting 15 minutes before you reply. While you’re waiting, change your scenery. Step outside, go get a cup of coffee or get engaged in another task. Taking a couple of deep breaths can also help you reset your mood. What does this text/email have to do with the kids? How will my response make things better? How could it make things worse? Two weeks from now, will it even matter? Bottom line, avoid sweating the small stuff. It’s more important to be effective than right. There may also be times when your Ex’s behavior is more about staying connected than pushing back. For some coparents stirring the pot becomes a way to keep their connection to you alive. Instead of passionately loving you, your Ex may be channeling that energy into passionately irritating you. You and your Ex have a history together, a way of interacting and reacting. If you want to stop the cycle, don’t take the bait. That also goes for when they are being nice. When your Ex puts down the battle ax to offer you an olive branch, it’s hard to not to let your guard down and be nice back. The only problem is it won’t last for long. When the warm fuzzies fade, chances are you’ll feel both resentful and frustrated. To be clear, I’m not suggesting that you can never be nice to your Ex. However, I am suggesting you decide what kind of coparent you want to be and base your interactions around your coparenting values, not how your Ex behaves. When you stand your ground, expect your Ex to up the ante either way. They may criticize you for not being nice back or ramp up the nastiness to get you going. Realize your interactions with them may get worse before they get better. However, over time as you continue to stay consistent, your Ex’s conflictual behavior should die down. No matter how your coparent behaves, do your best to maintain your integrity by keeping your communication focused and about the kids. When you receive a personal attack or rude note, I often encourage parents to write a short KIND reply. Direct (be sure to maintain your self-respect and set limits when needed). Is it fair that your Ex gets to randomly send you an unfiltered, disrespectful rant? Absolutely not. But that’s not the point, is it? 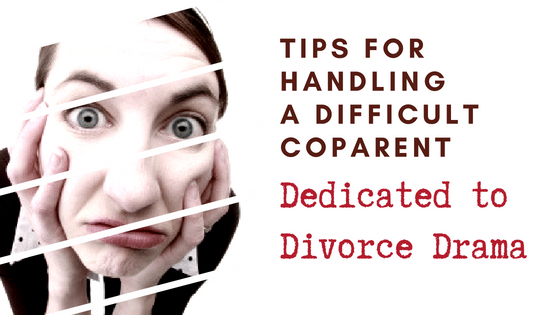 Although it’s tempting to give what you get when dealing with a difficult Ex, it doesn’t make things better for your kids. Your kids will fare far better if one parent can be a stable, loving, consistent force in their lives than if nobody gets it together. For the sake of your kids, do what you can to keep your responses consistent and measured. This one is a little tougher because on again/off again parents often try to pull kids into adult issues. While you can stop your Ex from doing that, you can help your children process the conflict and make sure they know they’re not to blame. Then talk to your kids about the problem, not the person. Very few of us come into this world with the patience of a saint, the wisdom of Buddha or the abilities of a seasoned negotiator. Let’s face it, parenting with an unpredictable Ex takes skills which don’t come naturally to most of us. If you feel like you are banging your head against a wall or you can’t remember the last time you went a week without clashing with your Ex, you might want to consider getting some help. There are lots of ways to up your game, you can read a book on dealing with conflict, find a professional to work with or look for an online course. Whatever you do, remember Rome wasn’t built in a day, changing how you interact with your Ex takes time and practice. However, the more you do it, the better you’ll get. Dealing with an inconsistent Ex can be utterly exhausting. Make sure you’re taking care of yourself (mentally, emotionally and physically) while limiting the amount of energy you give to divorce drama. Develop good supports for yourself, so when sh*t hits the fan you have people (i.e., a trusted friend, counselor, support group or coach) who can help you gain some emotional distance and insight. If the light at the end of the tunnel seems dim, take heart. Over time, things do get better for most coparents. 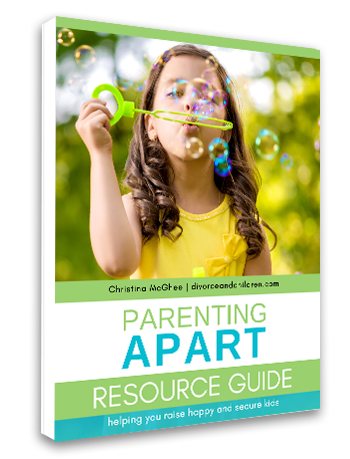 Whether your Ex comes around or not, do your best to engage in good co-parenting etiquette. Stay the course by being respectful, sharing information about the kids, including them in important decisions, and supporting their role in your children’s lives. While things may not get better overnight, in the long run these small shifts can have a big impact on your children’s lives. Do you have an Ex who is nasty one day and nice the next? What saniety saving tips do you have for staying consistent and minimizing the conflict for kids? Leave a comment below, I’d love to hear what’s working for you. I have an ex-and a now wife-who are both narcissitic and choose to parellel parent rather than co-parent. What are your suggestions on this? It has been non-stop court proceedings for almost 6 years. We have attnys, a guardian, a parent coordinator, a counselor for one of my children-who all see it and tell me nothing can be done. Hey Amy, Thanks for checking in. Sorry for the slow response, I just updated my website and it seems my alert notifications need to be reset. Dealing with a high-conflict/narcissistic parent is as exhausting as it is frustrating. I would recommend checking out Bill Eddy and the High Conflict Institute, which offers a ton of great information. Bill has also authored countless books on dealing with high-conflict personalities, I would encourage you to check out his book SPLITTING, Protecting Yourself While Divorcing Someone with Borderline or Narcissistic Personality Disorder. Another really good resource is Amy J.L.Baker who also has several books under her belt.You might want to start with CoParenting with a Toxic Ex.